Dell's XPS 27 system was extremely impressive when it was first introduced, but much of that luster has worn off from the lack of updating a number of internal components or trying to make it more price competitive. The system does have a strong performance, great peripheral connectivity, and a touchscreen display. The issue is that beyond the storage, there are better and more affordable options. 25.14" x 19.32" x 9.44"
Dell's XPS 27 launched over three years ago in response to Apple's iMac, offering users that wanted a large all-in-one system with an optional touchscreen. While the touchscreen has become a standard feature, the overall design of the system has not changed. Powering the Dell XPS 27 is the Intel Core i7-4770S quad-core desktop processor. This is a special lower voltage version of the processor but still provides it with very strong levels of performance. The processor allows it to do just about any task without an issue and is matched up with 8GB of DDR3 memory, which provides a smooth overall experience with Windows but heavy users may want to consider upgrading the memory to 16GB. If there is one area where the Dell XPS 27 really excels, it is the storage. Dell packs the system with a larger two terabyte hard drive that provides it with a huge amount of space for applications, data, and media files. It is a standard desktop class drive with a 7200rpm spin rate which would mean good performance but Dell goes even further by including a 32GB solid-state drive to be used exclusively for caching frequently used files. The result is a system that boots up Windows fast and accesses frequently used files just as quickly. The cache size is still relatively small and it is using the mSATA interface which means it is not as fast as newer dedicated solid state drives using the M.2 interface with PCI-Express but it is faster than most of the all-in-one systems. If that is not enough space for you, the system features six USB 3.0 ports for adding on high-speed external storage. The system also features a dual-layer DVD burner for playback and recording of CD or DVD media. The display on the XPS 27 used to be extremely impressive when the system was first released. It is still a good screen with a 27-inch IPS technology panel and a 2560x1440 resolution. The problem is the iMac with its 5K Retina display is far and beyond a better display and at the same base price. The graphics for the system are really disappointing. Don't expect to play modern PC games anywhere near the native resolution of the display. It also lags behind accelerating non-3D applications. 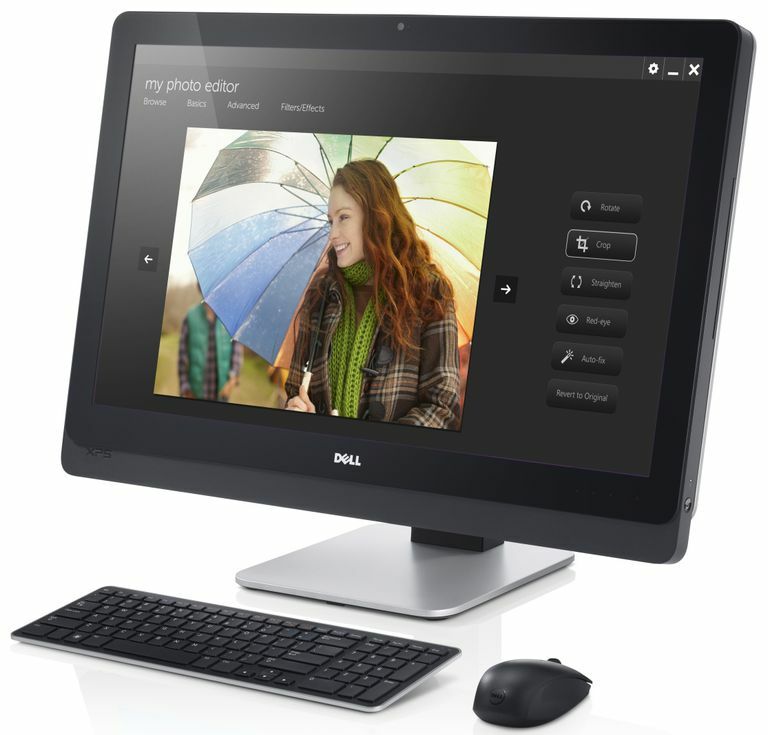 Pricing for the Dell XPS 27 all-in-one as equipped is roughly $2000. This price puts it in competition with the previously mentioned iMac and the ASUS ET2702IGTH. Apple has the best display for anyone that wants to do graphics work and the performance is not too shabby. You do sacrifice some storage space and performance but this is a small price to play for the display. The ASUS offers slightly better performance with an equally strong 27-inch touchscreen display but costs hundreds less.